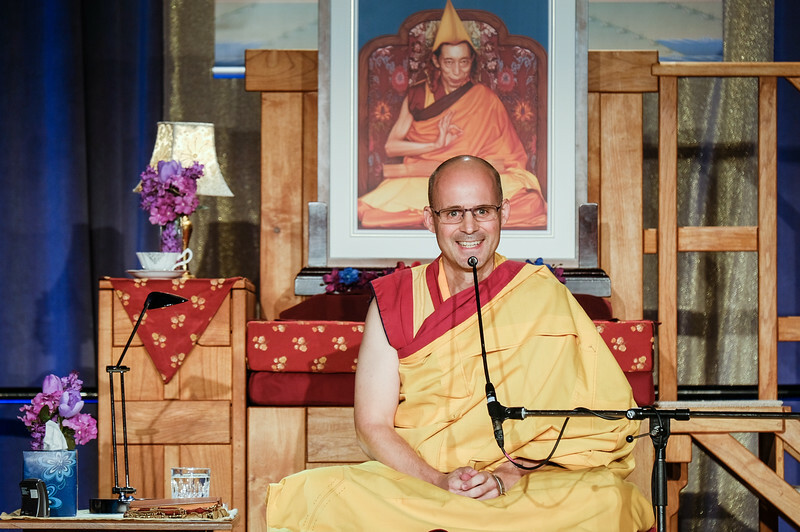 With great clarity, Gen-la Jampa guides two meditations in the morning, helping us to set the best of intentions for the Heruka empowerment. In the first, the focus is on renunciation, the wish for permanent liberation from the sufferings of samsara. 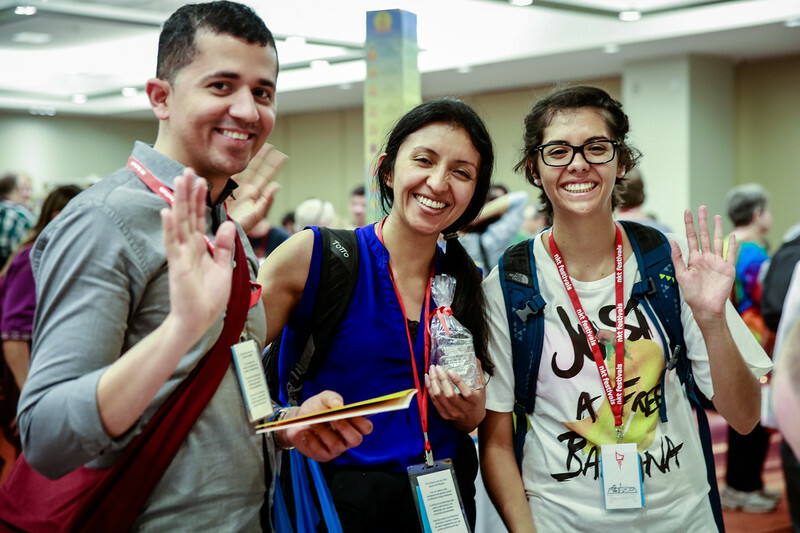 Gen-la Jampa emphasizes that renunciation is a joyful mind. He says it is a mind of great wisdom, so happy in the knowledge that there is a solution. In the second meditation we cultivate bodhichitta, the wish to attain enlightenment. In particular, we juxtapose our current powerlessness when it comes to truly helping others with the ability to help that we would have if we were enlightened. 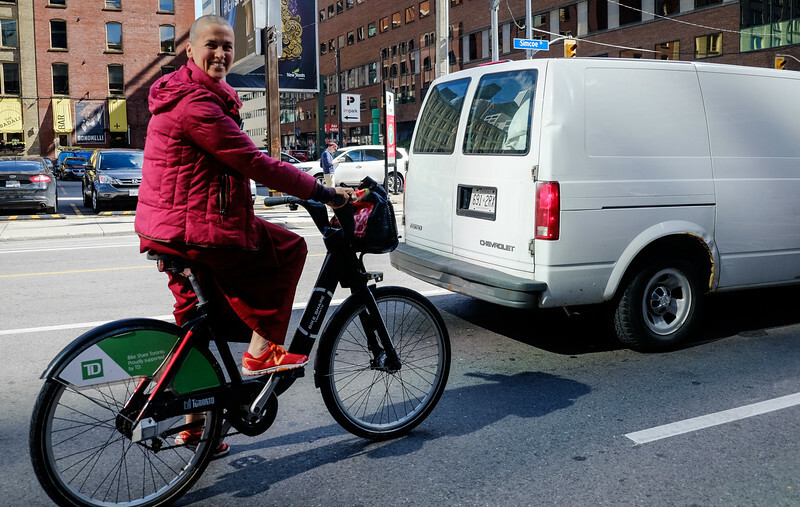 During the lunch break, downtown Toronto is teeming with smiling Kadampas. Considering that we are walking along a busy street in a major metropolis the experience is extraordinary. I feel like I am on the friendliest street in the world, where everyone you see is responding with smiles, waves, hugs. 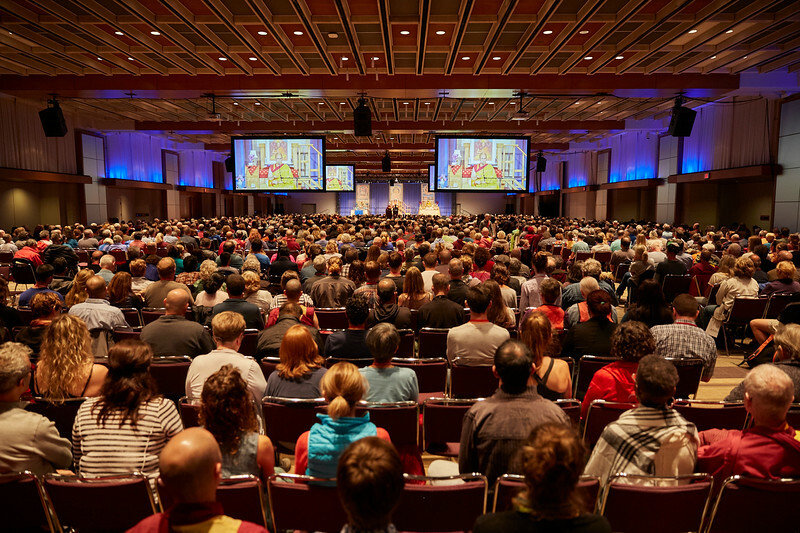 Kadampa Festivals have the power to transform their environments into resembling pure lands. But it’s one thing to see that happen within an enclosed space like Manjushri KMC, it’s another thing entirely to see several city blocks transformed in this way. 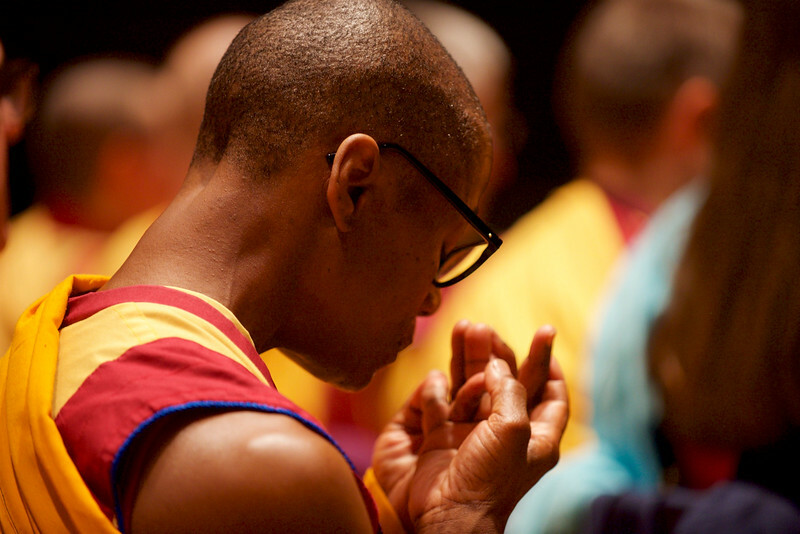 It’s clear why we need Kadampa Festivals in our world creating visions of peace. 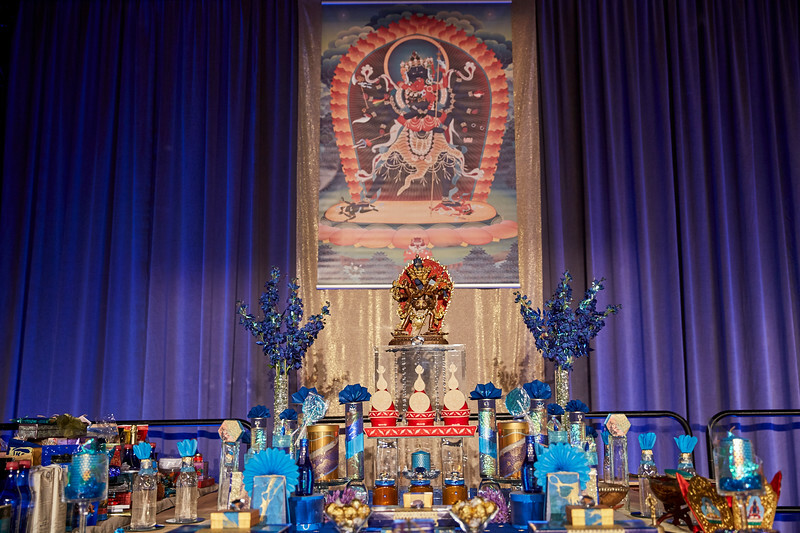 In the afternoon, Gen-la Khyenrab guides us through the first stages of the Heruka empowerment, mainly preparing us for the actual empowerments that come tomorrow. 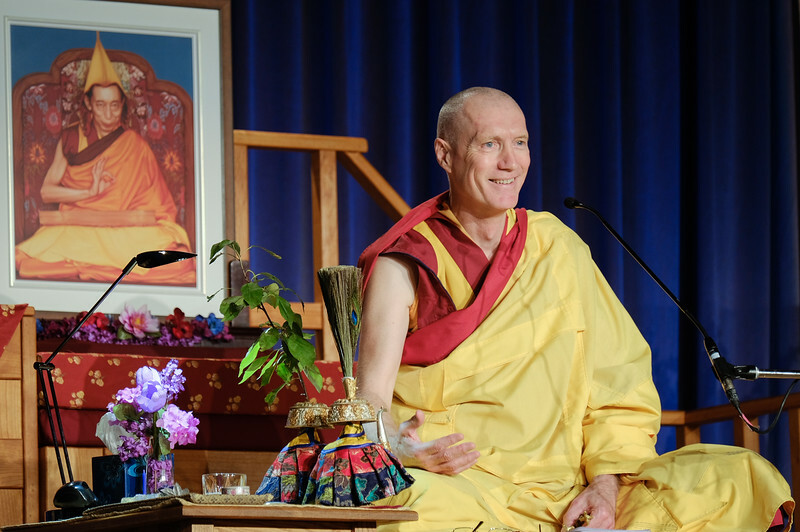 He takes us through the first part of the ceremony, whereby everyone in the assembly is symbolically reborn as vajra brothers and sisters, part of the same spiritual family. We are taught that the real protection is love. 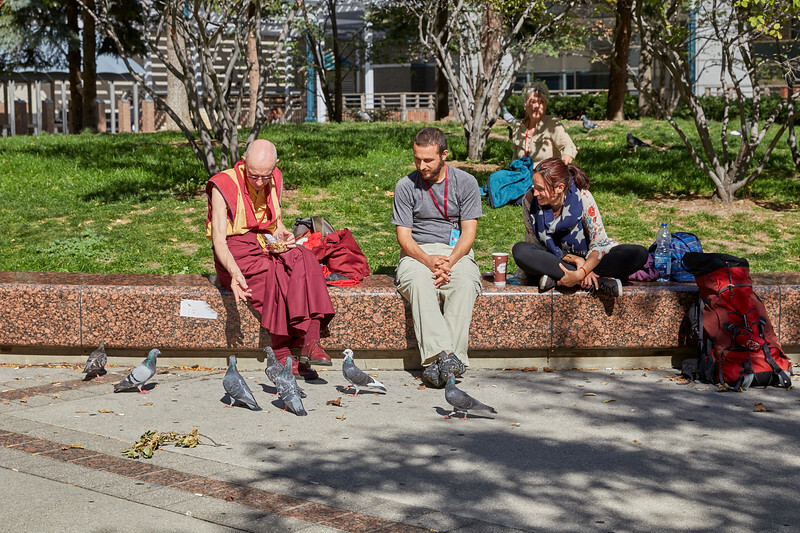 It is this shared experience of love that is transforming an impersonal convention center and impersonal downtown streets into areas of great warmth and interconnection, into a mandala, in which we sense the extraordinary potential of our human lives, the possibility of enlightenment for everyone. Tonight we look for signs in our dreams, and tomorrow we enter Heruka’s pure land.